It looks like the former location of the PX Bar and Grill (18490 Ford Rd. ), which closed earlier this year, won't be vacant for long. 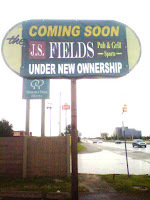 It will soon re-open under new ownership as J.S. 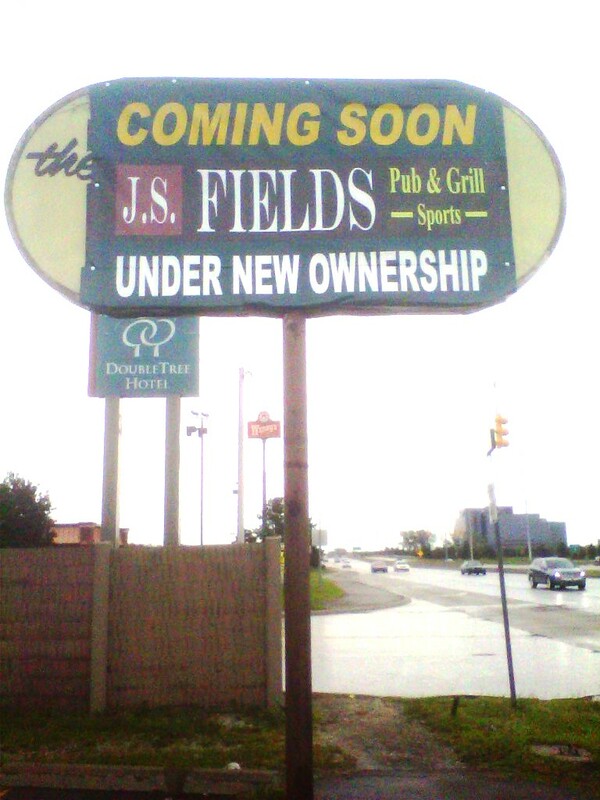 Fields Sports Pub and Grill. Based on some of the work that I saw a crew doing, it looks like the owner intends to open some of the windows that were bricked over. I think that's a great idea. I look forward to providing a lot more coverage of this bar once it re-opens. I play hockey with a couple of the new owner's of Fields and they are putting a lot of work into it. Completely changing the atmosphere of the place to open it up and make it more inviting. Exactly what that strip needs. Looking forward to its opening in the next month or so!